Founded in 1931, SEW-Eurodrive GmbH & Co KG is well-known worldwide in the field of power transmission, specializing in electrical motors, gearmotors and frequency control equipment. With 10000 employees in total all over the world, SEW group takes the leading position in terms of technology and market share. The headquarter of SEW-Eurodrive, located in Bruchsal, Germany, operates 12 manufacturing plants, 63 assembly plants and more than 200 representative offices over the world, which covered all the industrial countries in five continents. SEW-Eurodrive (Tianjin) Co., Ltd., a wholly owned German company in China, was founded in June 1994 and put into production in May 1997. The company is invested by the SEW headquarter and occupies a piece of land 175,000 square meters, in which are constructions and buildings nearly 100,000 square meters in total. The third phase of project, the SEW-Precision Gears (Tianjin) Co., Ltd., was put into production in September 2007, which occupies a land area of 110,000 square meters with constructions and buildings of 80,000 square meters. 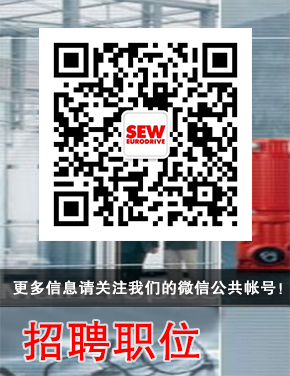 SEW-Eurodrive (Tianjin) Co., Ltd., as the manufacturing center in the Asia-Pacific area fully equipped with imported machinery and technologies provides domestic and overseas customers with various kinds of excellent industrial gears, geared motors and frequency inverters as well as controls according to German SEW standards. Production at the SEW Tianjin has been developed from small to large scale, and unified German quality standards are employed in designing, manufacturing and assembling, which makes the SEW Tianjin be able to provide quality products to customers that are identical to SEW German products in quality. Since establishment, the SEW Tianjin has been adhering to the working tenet of focusing on customers, which makes SEW products the priority brand selection by many domestic large and medium sized enterprises and national key projects.